Premier Denis Napthine is living up to his new nickname “Naptime” as the Hazelwood coalmine fire continues its terrible impact on the town of Morwell, in Victoria’s Latrobe Valley. The edge of the town is only a few hundred metres from where the fire has been burning since February 9. The plume of toxic smoke and ash from the fire is blanketing the town much of the time. 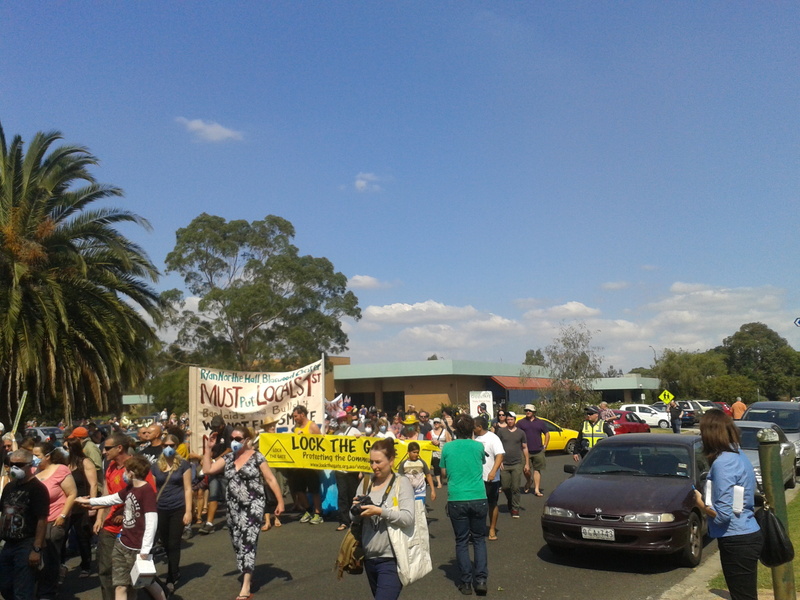 A protest rally in Morwell on March 2 drew around a thousand angry locals. A panel of speakers, and many people who stood up on the floor to vent their rage, confirmed that it is a widespread view that the government has left the town in the lurch and given them false information about the health risks from the fire. The unfolding disaster demands an immediate escalation of action, and Greens MLC Greg Barber is right to demand that the government declare a state of emergency, even while health minister David Davis denies it is needed. The first priority for emergency action must be the health of the community. Declaring a state of emergency, and providing evacuation centres with some form of accommodation for those who wish to leave, are the bare minimum that needs to be done by the government. Advice to date from the government is for residents (especially the vulnerable) to leave Morwell if possible. This leaves vulnerable people such as unsupported elderly residents, and people who will not risk leaving their employment, with little choice but to stay and breathe the toxic smoke. The mine fire is also highlighting deeper problems. The failures of the private ownership of the power industry and of government regulation are highlighted, as is the inadequacy of Australia’s air pollution monitoring and safety standards. The future of employment in the Valley is also brought into question if cost-cutting can cause such disasters as this. The mine operator, multinational corporation GDF Suez, had not rehabilitated the disused section of mine which is now burning. Coal seams were left exposed, vulnerable to fire, and the water pipes and sprinkler system in that area had been dismantled and scrapped. GDF Suez has stated to the media that the disused mine section was in the process of rehabilitation. Whether they met the letter of government requirements or not in that regard, clearly they and/or government oversight must have been at fault. Blaming the bushfire that started the mine fire is obviously not good enough: we all know bushfires happen and prepare accordingly. CFMEU Mining and Energy union president Luke Van der Meulen has pointed the blame at state government. “The company is operating in a financially constrained time and will always try and do the things that Hazelwood does – but the only thing that prevents that is regulation, which clearly hasn’t been going on here,” Van der Meulen told the local paper. “The community shouldn’t be experiencing this fire right now. We believe it’s the fault of the regulators and whoever’s running the mine at different times – they should have rehabilitated these mines, and until they were fully rehabilitated, they should have had proper firefighting infrastructure to fight fires,” he said on the ABC 7:30 Report. Government departments and schools have moved temporarily out of Morwell, and residents have been advised to leave if they can. Yet state government have resisted all suggestions to evacuate the town or declare a state of emergency, even as air pollution in the town reaches astounding levels. The Environmental Protection Authority was caught flat-footed by the mine fire. They had to scramble to install monitoring stations in Morwell. Yet Morwell is a major regional town, midway between three large brown-coal power stations. The nearest regular EPA monitoring station is at Traralgon, 14km to the east – the only such station in the valley. The new EPA monitoring stations in Morwell show the official Air Quality Index “very poor” rating of 150 has been vastly exceeded, for hours on end, on most days. On 22 February, the AQI reached over 2000 at Morwell South. Other local towns including Churchill and Traralgon have also been badly affected depending on wind direction. Coal burning normally produces hazardous gases and smoke. When it is not burning completely (such as when under water attack), it is worse, and pollutants may include known carcinogens such as benzene, and toxic carbon monoxide gas. In the evening of February 21, carbon monoxide levels at Morwell South remained in the poor to very poor range for 9 hours straight. Particulate matter, containing carcinogens, is the longer term worry, and could lead to many otherwise preventable deaths. Fine particles in the PM2.5 range (2.5 microns, much smaller than the width of a human hair) are being measured in high concentrations at the EPA’s Morwell South monitoring station on an ongoing basis. Larger PM10 particles are also present in the smoke along with toxic gases such as ozone, which can inflame the respiratory system, allowing particulates to penetrate further. Fine particles can be breathed deep into the lungs. Those with existing heart and lung diseases are at immediate risk from this pollution. Children’s lungs may be particularly damaged by air pollution, as they are still forming. Carcinogens among the particles may later cause cancers. There is no safe level of exposure to the particulates in coal smoke. It is essential that the EPA conduct ongoing and thorough monitoring of the pollution, and this should include the day-to-day smoke from the power station in normal operation, in all local towns. Keeping the power station running is not necessary, so taking the mine workers out of the smoke haze in the mine should be a reasonable move to protect their health. It will cause GDF Suez to lose profits, but that should be the least of anyone’s worries. Australia has excess “baseload” power generation capacity – other than in a midsummer heatwave, it is unlikely that taking the station offline would seriously jeopardise energy security. Could more be done to put the fire out? Firefighting officials claim it may still take weeks to extinguish the fire. The exact timeframe cannot be stated with certainty. Victorian Fire Services Commissioner Craig Lapsley told the meeting on March 2 that they are making progress, and are hopeful to have it under control in a few weeks. However, every time there is a hot windy day (and one is forecast for March 4) it sets their efforts back, reversing progress made. Many have suggested flooding the mine to put the fire out. Lapsley explained to the meeting that it would take months to fill the mine with water, so this is not a viable option. After the meeting I approached Craig Lapsley to ask whether they were holding back on how much water they used, to prevent any flooding and keep the power station running. He explained that the key infrastructure that would stop if the mine were partly flooded would be the pumps in the bottom of the mine pit – which they need to return water runoff to the firefighting effort. Obviously, this constrains how much extra water can be brought into the firefighting, unfortunately. To restate, declaring a state of emergency, and conducting a state supported voluntary evacuation should be the first priority. Beyond that, a judicial inquiry is desperately needed into the owners of the mine over the years, and the state governments that have regulated them (or failed to). How was a disaster like this allowed to occur? As Luke Van der Meulen pointed out to the meeting on March 2, after a 2006 fire in the mine, an inquiry recommended the coal batters be capped with clay – but no such action was taken. Those responsible – government regulators, and private operators – should pay for the clean-up and compensation to the community. Power privatisation has delivered Victoria 20 years of rising electricity prices, complete failure to plan a transition to cleaner energy sources, and now we are seeing disasters such as this and the 2012 flooding at the nearby Yallourn mine, caused when a river diversion failed and flooded the pit. The inquiry should investigate the full scope and background to these incidents. Meanwhile, once the fire is out, the government needs to act on enhanced monitoring of air quality, enforcing compliance, and cleaning up the ash. 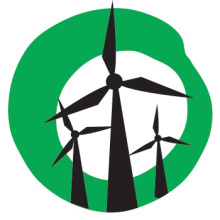 Renewable energy is poised to replace the coal power stations with a few policy changes – and rapidly would, if “brown tape” regulatory barriers were removed such as the Victorian anti-windfarm laws. If a disaster like this were to cause the sudden closure of Hazelwood, the Latrobe Valley could find itself the scene of a second disaster, this one social, as hundreds of workers would be out of work. But the culprits would be largely government negligence once again. Wind turbines and solar panels could be shipped in from overseas and put up to replace this old coal power station’s output within a year or two – but the government has shown no interest in attracting renewable energy manufacturing and jobs, letting the one wind turbine tower manufacturer in the state fall on hard times. 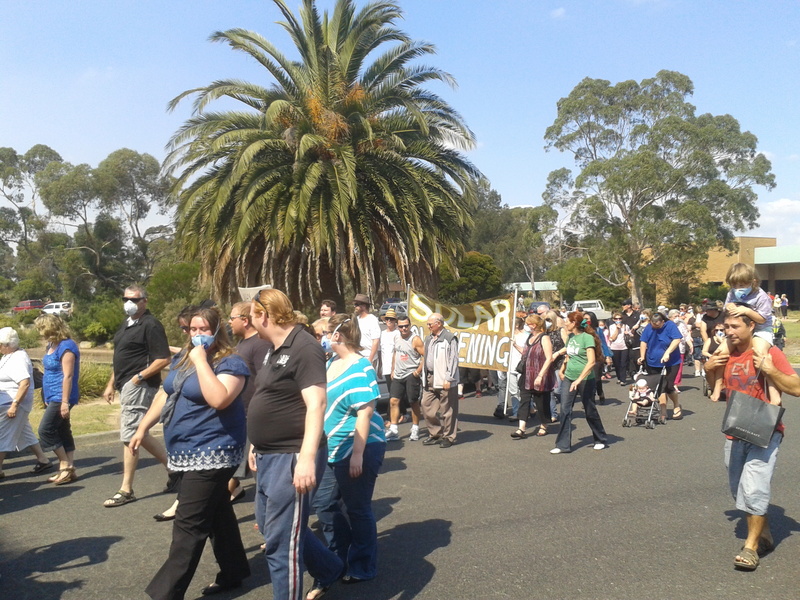 With no plans by government or the private owners to support a transition to renewable energy jobs, with disaster threatening their health, the community of the Latrobe Valley is highly vulnerable. They deserve better than this poisonous cloud, and they deserve better than the government and corporate negligence that is threatening their future health and social wellbeing. Previous Previous post: Shopping malls powered by the wind?